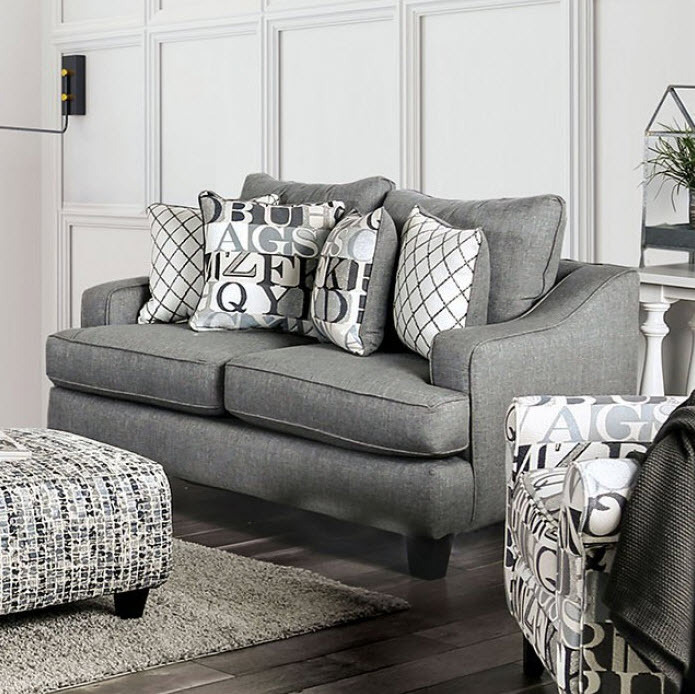 Give your home some deeper ocean tones with this blue gray collection. The loveseat sports a lush color that can be taken in many directions. Surround it with lighter wood tones to create a coastal lagoon in your home. Or be inspired by the patterning on the companion pieces to shape a modern eclectic mix for your home. Solid color allows for fun flexibility.